ENGLEWOOD, N.J. (AP) — Sheila MacRae, a veteran stage, film and TV performer best known for playing Alice Kramden in the 1960s re-creation of "The Honeymooners," has died. She was 92. The actress died Thursday at the Lillian Booth Actors Home in Englewood, N.J., MacRae's granddaughter, Allison Mullavey, told The Associated Press on Friday. "She had a great life, my mom, she really did. She was quite a broad," said her daughter, actress Heather MacRae. "Fascinating, almost like an Autie Mame character." 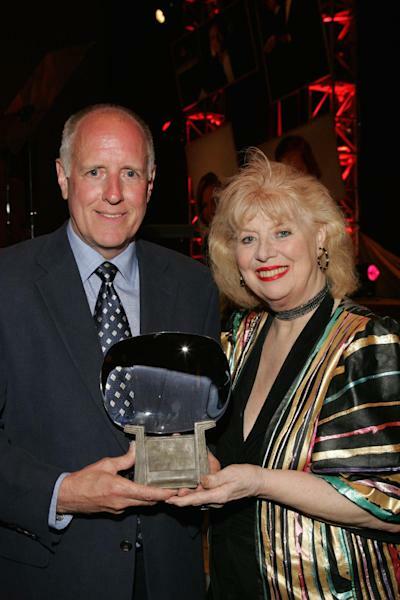 Shirley Jones, in a statement released by MacRae's family, called Sheila MacRae "a great lady" with extraordinary talent who "helped me to be a better mother." MacRae, who suffered from dementia but was otherwise in good health, had been hospitalized for a minor surgical procedure. Her death came suddenly Thursday night, apparently the result of old age, said Heather MacRae. "She lived a good life and a long life," Mullavey said. "We'll miss her." A singer, dancer and actress, MacRae was married to "Oklahoma!" and "Carousel" star Gordon MacRae for 26 years, and they appeared together in 1964 on "The Ed Sullivan Show" when the Beatles were featured. She had put her career on hold while she devoted herself to MacRae and their four children, Heather MacRae said. After helping her husband with his nightclub act, she decided to join him and her career took off, her daughter said. The couple appeared together in musicals including "Guys and Dolls," with Sheila MacRae taking her performance as Miss Adelaide to Broadway in 1965. The couple divorced in 1967. In the 1950s version of "The Honeymooners," Audrey Meadows starred with Jackie Gleason as lovebirds and sparring partners Ralph and Alice Kramden. Sheila MacRae replaced Meadows as Alice in a later version from 1966-70 on "The Jackie Gleason Show." MacRae was the last survivor from the '60s edition of the Gleason show. Jane Kean, who played Trixie Norton, died last fall. "My mother referred to herself as the last Mrs. Kramden," Heather MacRae said. After her divorce from Gordon MacRae, she was married to Ronald Wayne, who produced Gleason's show, her daughter said. They later divorced. 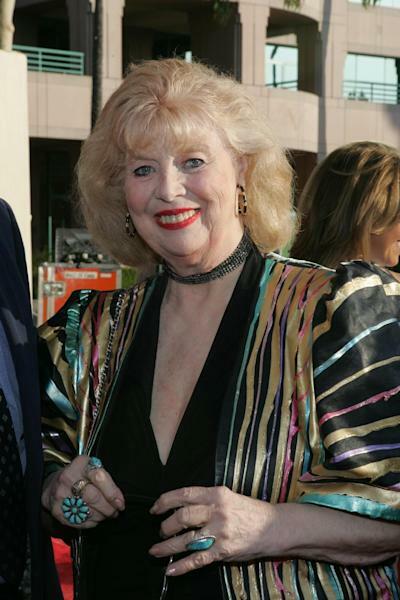 Sheila MacRae played the role of Madelyn Richmond on the soap opera "General Hospital" and was host of "The Sheila MacRae Show." A native of London, England, Sheila MacRae emigrated to America with her parents during World War II. Survivors include children Heather and William "Gar" MacRae, six grandchildren and two great-grandchildren. Daughter Meredith died in 2000 and son Robert in 2010, Heather MacRae said. Funeral services for her mother were pending, she said. AP Television Writer Lynn Elber in Los Angeles and Associated Press national writer Hillel Italie in New York contributed to this report.